Velcro makes a return on this latest release of the Zoom Stefan Janoski by Nike Skateboarding. 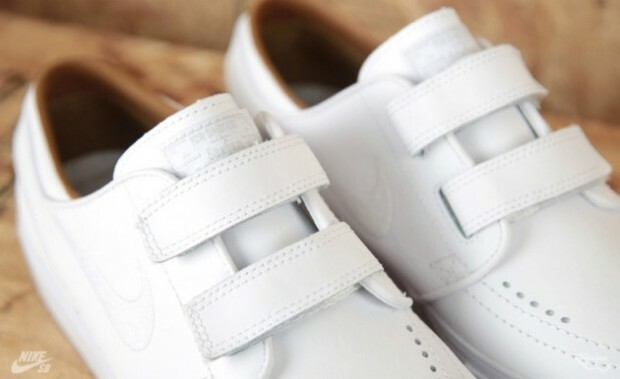 The fan favorite is remodeled by Nike Skateboarding with a not so skate friendly premium leather build and velcro straps over a vulcanized sole. 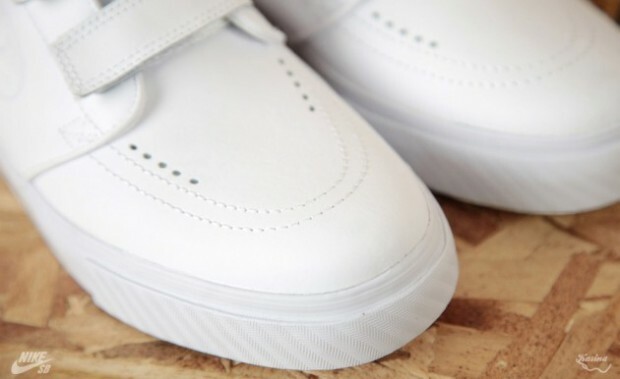 The otherwise all-white look is accented with light brown over the leather collar lining. The White/Brown Nike SB Zoom Stefan Janoski SE is expected to release soon at Nike SB retailers nationwide.